If an insurer can prove the presence of intent – your claim will be rejected, writes Caira-Lee Durand for Women On Wheels. We need to talk about a couple of terms you may come across in insurance – intent and negligence. There’s a clear difference between them, and in this article we’ll break them down so that they’re really easy to understand. In the event of a car accident, the insurance company will scrutinize every single aspect of the situation. Through thorough investigation, the insurer has to determine whether or not the driver at fault was behaving negligently or with intent. Insurers will still cover a negligent driver, but if it becomes evident that the driver acted with intent – the premeditated decision to go out and crash their car – then the insurer will not cover the loss or damages. Understanding these different terms will not only ensure that motorists are aware of any possible liabilities, but the law itself differentiates between these different types as well. After all, intentionally crashing your car so that you can claim from your insurance is technically fraud. So, it’s important to know them. By definition, intent-by-possibility is pretty close to negligence. This is used to describe an incident in which the possibility of intent is there, but it could also be debated. For this reason, intent-by-possibility isn’t very well understood by motorists. Basically, if you have no actual intention to inflict any damage, but you’re well aware that the action you’re about to take – or not take – could result in damage, then this could be classified as intent-by-possibility. The insurer has to determine whether or not this action was just negligent behaviour, or if you were actually aware that the possibility of damage was present. Let’s use an example. If you’re driving down the road and somebody is backing out of their driveway at a reckless speed – and you can see that this driver is not paying attention and driving way too fast – the onus is on you to stop in order to avoid a collision. If you fail to do so, and you do smash into this other car, it could then be said that you were aware of the possible consequences and you chose not to prevent them. Unfortunately, in the event of intent-by-possibility, it doesn’t mean that the insurer has to meet your claim. 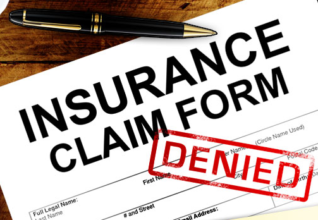 If any form of intent is present, the insurer has the right to deny it. Indirect intent speaks to the secondary consequences of an action, in addition to the consequences originally intended. Indirect intent can be classified as any action taken by a driver to not only bring about one consequence, but taken knowing full well that the consequence may have further consequences – the possibility of a domino effect, so to speak. So, if you decide to rear-end the vehicle in front of you in order to crash your car, but that car has another car in front of it, then you’re making a subconscious decision to put that third car at risk as well. To be clear, it’s not your direct intention to damage that third car – but you’re aware that it could happen. You know that if you ram into this car in front of you, there’s a possibility that the car may lunge forward into a busy intersection, or into another vehicle. This is indirect intent, and it is established with regards to the damage done to the third vehicle. This is plain and simple enough. Direct intent applies to the act of any person going out with the intention of causing damage to their vehicle, and succeeding, and then putting in a claim for it. People may do this for a variety of reasons. There may be an existing problem with the vehicle, too expensive for the motorist to repair out of pocket. Maybe the person just wants a new car, or perhaps they’re short on cash for something else. Perhaps the intent was not to damage their own vehicle, but someone else’s. If direct intent can be proven, the insurer will not honour the claim.